Workshop Pro Solvent Degreaser is a ready for use, pink coloured emulsifiable fluid, manufactured from a highly refined hydrocarbon solvent and a non-ionic surfactant. It was originally developed for rapid de-waxing of car bodies. The formulation acts by dissolving the wax or oil content and allowing them to be emulsified so that surfaces can then be washed clean with water. It has an extremely effective cleaning action on all surfaces even at low ambient temperature. 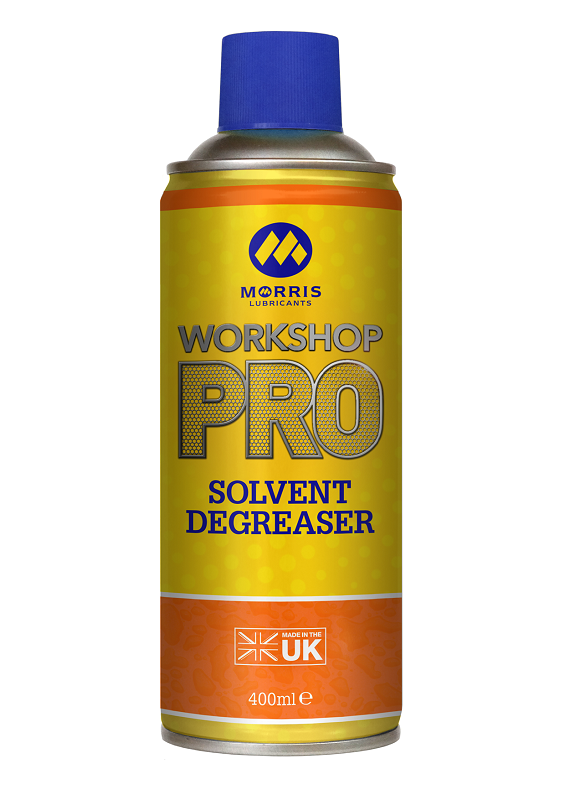 Workshop Pro Solvent Degreaser is also non-caustic and can be safely used on Aluminium and Magnesium alloys without fears of corrosion or corrosive residues on the surfaces. Workshop Pro Solvent Degreaser has an added advantage over other products of this type in that the oil content in the water washings produced will quickly separate in an interceptor system allowing clean water to be discharged to sewer. Recommended for removal of the manufacturer’s protective coatings on cars, machine tools, and bright steel stocks. Also recommended for the de-waxing and degreasing of all factory and agricultural equipment where rapid oil separation at the interceptor is essential. Applications of Workshop Pro Solvent Degreaser are always more effective if they can be allowed to soak into the dirt and surfaces for several hours, or even overnight before hosing off. 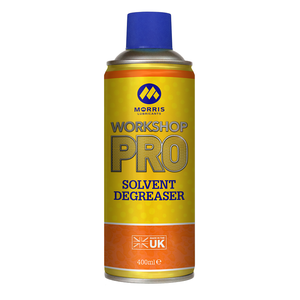 Workshop Pro Solvent Degreaser is easily applied by spraying, brush or dipping. *Under no circumstances should this product, neat or diluted, be disposed of by putting into drains, soil or water courses.